The IFI celebrates the world of surfing in December 2017 with a trio of films dedicated to the sport, and the people who make their lives amid the waves. This season runs from December 2nd to 3rd 2017, and brings together stories from around the world, including living legends in the world of surfing and a story from closer to home. Gaza Surf Club returns after a successful first outing during the IFI Documentary Festival 2017, showing how young people find escape from their lives by surfing the Mediterranean, even a 15-year-old girl who has effectively been banned from the activity due to her faith. 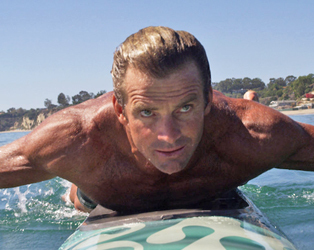 Meet real surfing royalty in Take Every Wave, a profile of Laird Hamilton. The film charts the career of the man who would have a huge impact on the sport, from his early days in Hawaii to his later life where he became a constant source of inspiration and innovation. Blending astonishing archival footage with intimate access into Laird’s current adventures, this is a must-see documentary. Finally, Between Land and Sea embeds itself in a community of surfers in Lahinch, Co. Clare, following their on-and off-season lives over the course of a sea-buffeted year. This visually-stunning documentary comes from Irish director Ross Whitaker (Saviours, Unbreakable). Mavericks: Surfing Docs at the IFI runs from December 2nd to 3rd 2017.